SRINAGAR: Accusing National conference of being responsible for all the miseries faced by Kashmiri people, Peoples Conference Senior Vice Chairman and former Minister Abdul Gani Vakil said that the dynastic party continues to befool common people by lies, deceit and fallacy in lieu of power and conveniently turn their backs when they are entrusted with it. Addressing massive gathering at Hardu Panzu Khan Sahab & Khag Pattan, Vakil asserted that National Conference sold the identity, autonomy and plebiscite movement to Delhi so that they could return to power in 1975 through Indira-Abdullah Accord. “The Indira-Sheikh Accord is an ugly agreement which clearly states that Jammu and Kashmir could not revert back to its pre – 1953 political freedom. 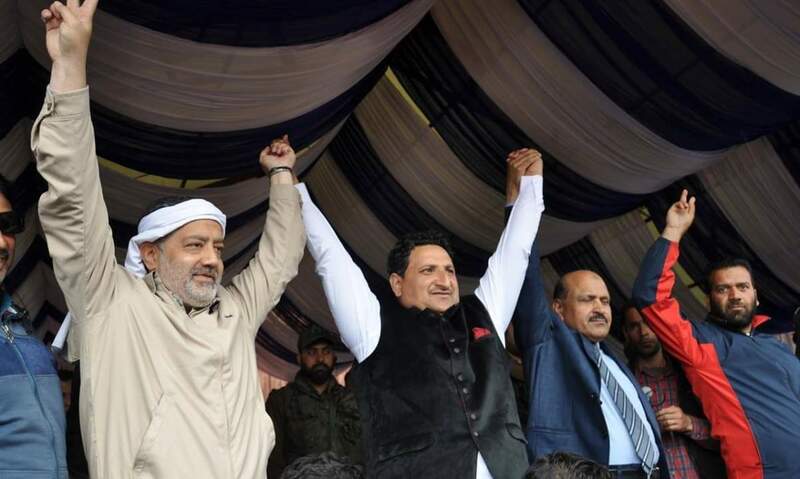 Holding NC responsible for over one lakh killings, large scale arrests and rendering thousands of women widows and children orphans, Vakil said that Omar Abdullah’s promises are nothing but lies and deceit. Vakil said that if Omar Abdullah indeed means business, then he should impress upon Rahul Gandhi to announce the restoration of pre-1953 position or else stop with his deceitful poll gimmick which will not fetch him anything because people are well aware that he is playing to galleries just to seek their votes. Meanwhile PC General Secretary Imran Reza Ansari while addressing the gathering said that Omar Abdullah’s political birth is solely attributable to BJP and RSS. Imran also said that Peoples Conference will render every sacrifice to safeguard the special status and interests of J&K. “Article 370 and 35-A are sacred for us and Constitutional guarantees of our special status form the basis of our relationship with the union of India. PC is committed to safeguarding Article 35-A and Article 370 and will support all sincere efforts to restore the state’s special status to its pristine form”, he added.